Our goal at Soroptimist Whitefish is to Support, Embrace, Empower and Strengthen women; in other words, to help women BLOOM into the best person they can be. One of the ways to promote our club’s ethics is to embrace our own members, highlighting her own unique talents and contributions to our organization. What better way to honor our peers than by nominating them for a Bloom Award, reminding them of their special gifts and unique beauty. 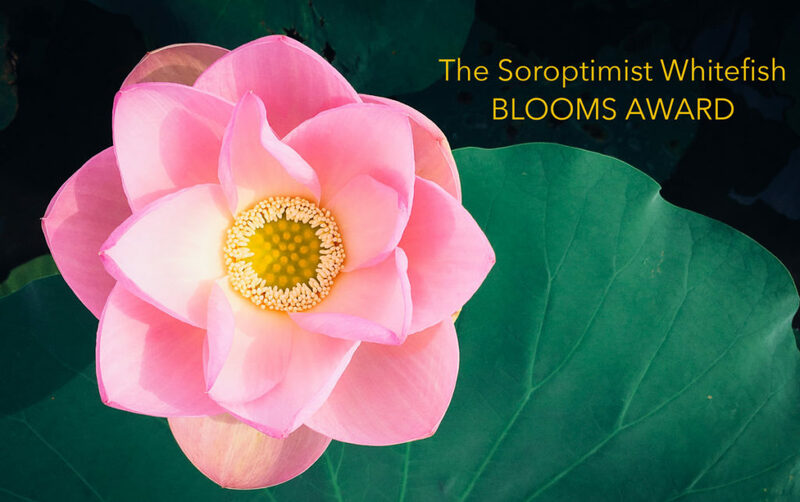 The Board hopes that you will embrace this new program and utilize it as your personal sounding board to honor and recognize a fellow Soroptimist sister.